This website and its content is copyright of Ozark Gateway Tourist Council – © Ozark Gateway Tourist Council . All rights reserved. As on many web sites, Ozark Gateway Tourist Council may also automatically receive general information that is contained in server log files, such as your IP address, and cookie information. 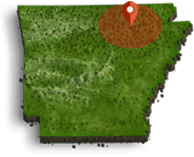 Information about how advertising may be served on this site (if it is indeed the Ozark Gateway Tourist Council’s policy to display advertising) is set forth below. Ozark Gateway Tourist Council does not allow persons who are aged thirteen or younger to become members of this site. For more information, please contact the site administrator.